Since it has been on the road the air filter on the 4AGE throttle bodies has been a foam ITG unit that slips over the trumpets. You hear that sock style air filters rob power and I don’t see why the filter I was running would be any different. Also the noise generated was rather excessive so something needed to be done. 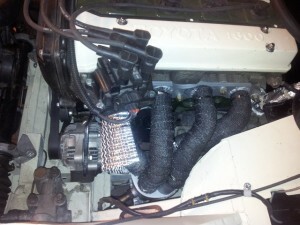 Some time ago I purchased a Pipercross PX600 airbox but hadn’t gotten round to fitting it. Clearance under the bonnet is tight ( the existing foam filter touches the bonnet) so it required some juggling to fit. 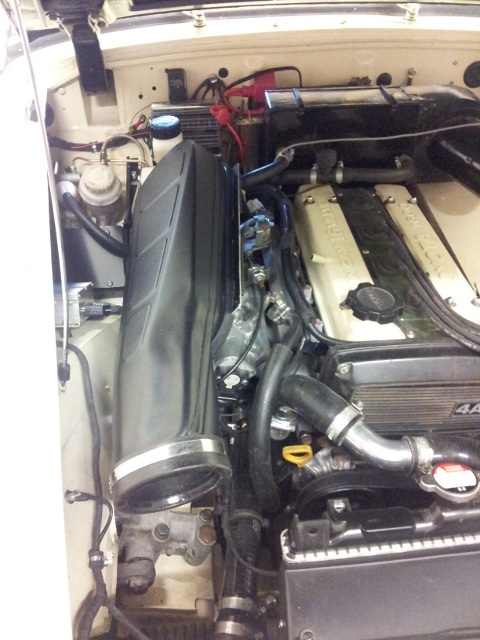 By aligning the airbox so that it was high at the rear and low at the front it fitted under the bonnet. 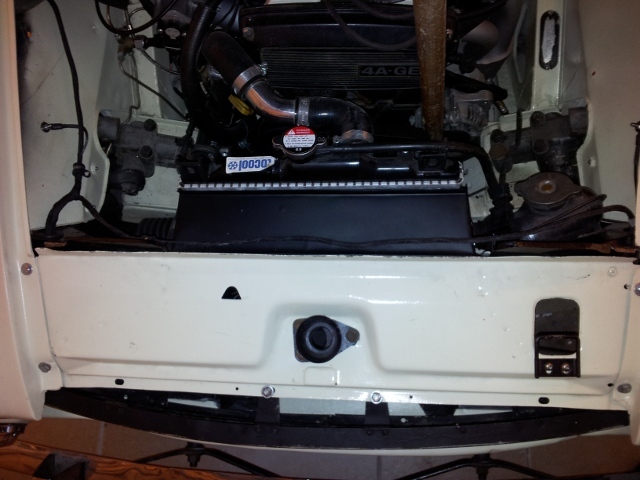 However it did just touch the bonnet but this was overcome by the use of a heat gun and some reshaping of the airbox on the top edge. The good news is that it all works and induction noise is much reduced so turning it more into a Q car. 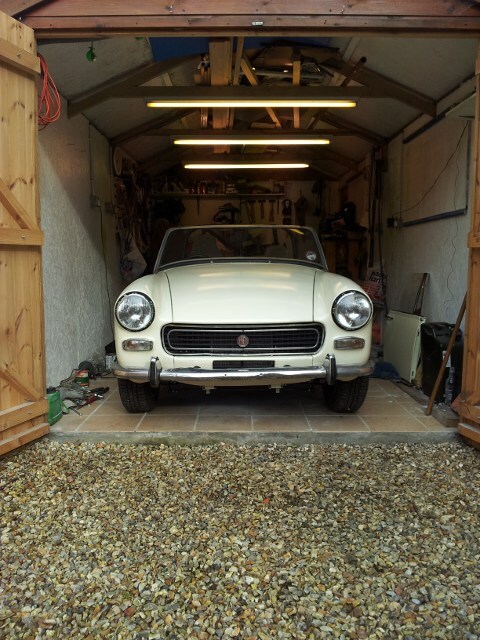 This weekend I’ve finally fitted an anti-tramp bar kit that I purchased a while back from a trader at the MG event at Silverstone. Thinking I would need longer U bolts I made enquiries to the trader but (fortunately) they didn’t reply so I started looking at making the brackets that attach to the springs. This was when I discovered that the kit I had been sold wouldn’t work because the rear brackets weren’t for a Midget. At least I found this out before buying longer U bolts. 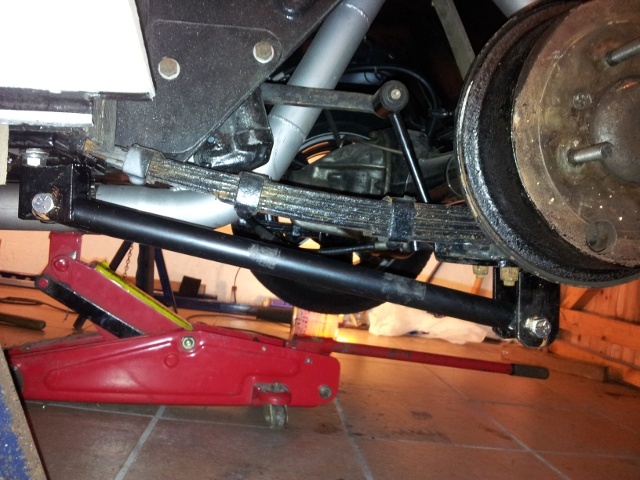 A few hours of cutting, drilling and welding had some rear brackets made up and the anti-tramp bars fitted. Next up will be the panhard rod. 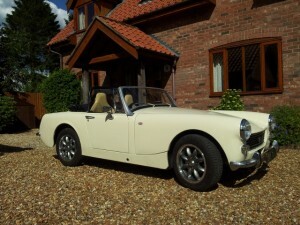 It has been six weeks since the Midget hit the road but unfortunately it was off the road a bit during that time. After the first week the alternator started to screech badly so a new one was ordered. 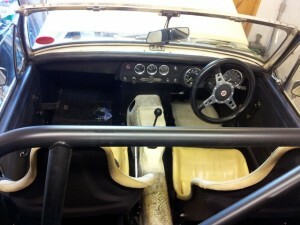 When it arrived I realised that the used on fitted had the rear housing turned 90 degrees and the wiring wouldn’t reach. Rather than strip open a brand new unit I ended up removing the exhaust manifold and remaking the wiring. 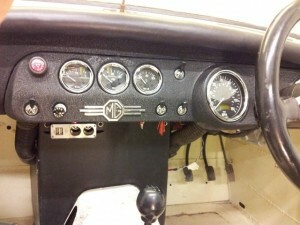 When completed I went to fire it up and there was a buzz of the fuel pump then a bang. The pump fuse was blown and further testing revealed a dead fuel pump. I was never happy with the swirl pot in the fuel tank so this was an opportunity to fit an external swirl pot and a Facet lift pump. 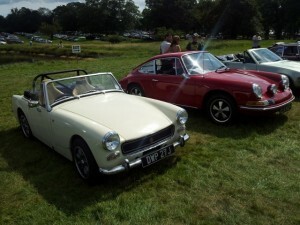 One week later (and having missed MG90 at Silverstone) and I was back on the road. Over the weeks there was much fettling of the fuel and ignition map and now it is running quite well but more power must still be there for the taking. One area that I’ve thought was poor was the brakes due to their lack of effect and even heavy brake pedal effort seemed to make no difference. The pads fitted were some stock Mintex pads ( not the M1144) so it was time to try something else. The EBC Greenstuff is much maligned on the forums but the EBC products seem to be constantly evolving so I thought I’d give them a try. Initial impressions after a few miles is that they are very effective and they have a nice pedal feel. I’m hopeful that they’ll stand up to spirited driving in what is only a 700Kg car. The main achievement this week has been fitting the new hood. 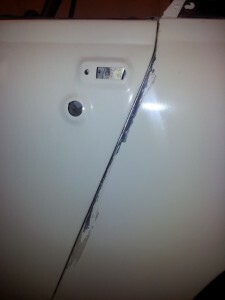 The vinyl of the original hood was still in good condition but the windows were torn so a new hood was ordered from donhood.com. It was with trepidation that I started fitting it but marking the centre line on the car at the rear and on the hood gave me confidence that it would at least be central. I used the fitting instructions downloaded from the MGOC because they were more concise . The header rail was pop riveted in place as per the original mainly because the holes were a bit too large for screws. Hopefully I’ll have no need to remove the hood from the rail. The hood came with 6 Tenax fasteners but I’ll use 2 more to replace the velcro strips used on some Midgets and these are still to be fitted. Since the above photo was taken the passenger door handle and lock are installed and the inner window strip was also fitted. To save time the existing navy blue door cards were re-used and I’ll sort something out when I’m on the road. It could be new door cards in black or I could try spraying the navy ones, we’ll see. 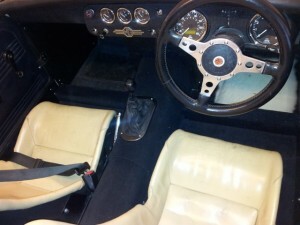 I’m sure the MOT man won’t care too much that the cards don’t match the rest of the interior. Next up will be finishing the tunnel area. I’m hoping to be MOT ready in two weeks. Slowly getting there (I say that to keep me going) but all the finishing bits take more time than expected. Finally finished making the interior panels for the main tub of the car and just the door cards to make at some point. 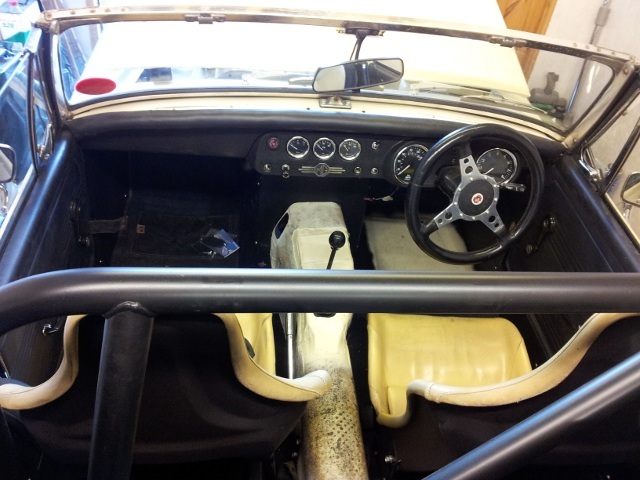 All the carpet is now cut to shape and glued in place and the contact adhesive makes the Midget now smell like a TVR. 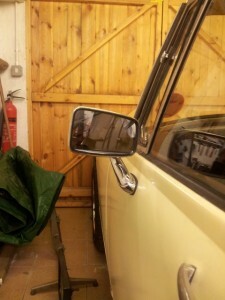 Fitted the doors and for some reason the passenger door didn’t seem to fit properly in the gap any more. A few minutes with my favourite hammer and the gap was opened up but now I need to repaint that section of the car. At the weekend the paintwork was redone using a cheap £10 touch up spray gun and the quality of finish was far better than the rest of the panel so I may have to revisit this at a later date. And finally tonight I’ve fitted the seatbelts and the newer Elise seats that I picked up locally at the weekend. Fitting the seatbelts involved removing the roll over bar due to the latter blocking access to the seatbelt mounts on the wheel arch . 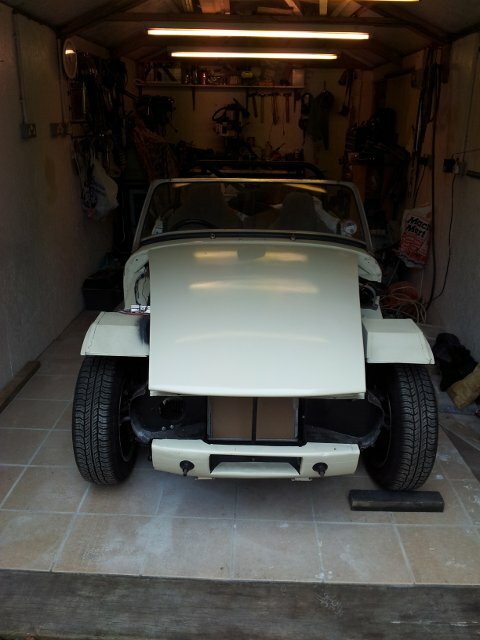 It really is starting to look like a complete car. Day 3 of the week’s push for completion and it feels like little progress today. Little progress however means that the indicator bulb holders have been repaired, cleaned up and fitted. All the wiring to the front of the car is now complete and secured out of the way. I can’t recall how the bonnet release cable was secured because the original securing bolt was broken off so I made up another cable end. While messing with the bonnet release I ended up shortening the outer casing because I’ve relocated the bonnet release due to the custom heater box being in the way. The other tasks done included fully fitting the nose assembly and making up a cowl to fill the gap between the nose and the radiator. 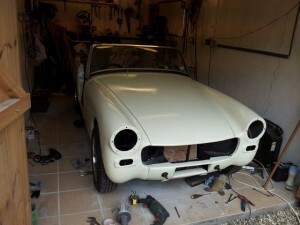 The front bumper was retrieved from storage and bashed into a straighter shape with a large hammer. It isn’t in good condition but I’m not building a concourse car and it does serve the purpose of hiding the poor front end. 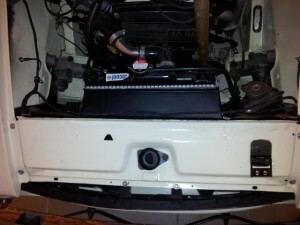 The rear number plate is now fitted using LED plate bolts but while at the back of the car I noticed a fluid leak. The brake line into a wheel cylinder was leaking quite badly. Quite why this hasn’t leaked before I don’t understand but tightening the connector and testing didn’t show any more leaks so fingers crossed and I’ll be keeping an eye on it. Days 4,5 & 6 were also spent decorating so not as much Midget fettling time. The front bumper was fully fitted but not without doing things the hard way. It didn’t come fitted so I acquired some mounting brackets and it needed 2 x 1/2″ UNF nuts. As usual I didn’t have any but I found a 1/2″ UNF tap so some 7/16″ nuts were opened up on the lathe then tapped and hey presto I had a pair of nuts. 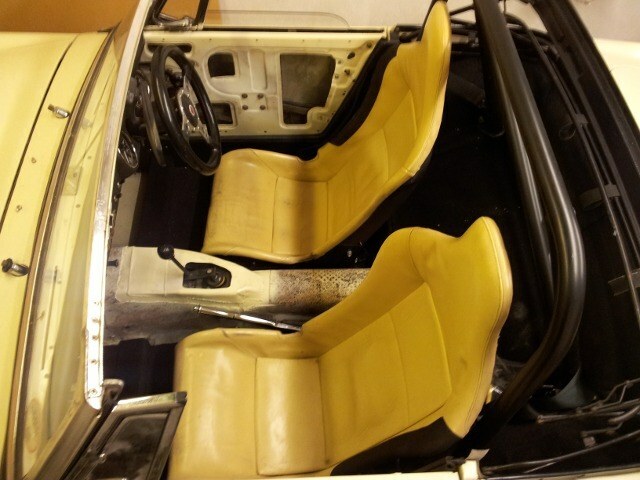 Attention then turned to the interior and finishing making the panels and carpeting the lower sections. More on this later. Having to use up a load of holiday I’ve another week off so can spend some time on the 4AGE Midget. With a spare hour on Saturday I managed to attend to the wings. Being GRP wings I didn’t take them to the gel coat and sure enough a couple of areas reacted to the primer on one wing. A rub down and a spray with a barrier coat paint had them ready for priming. 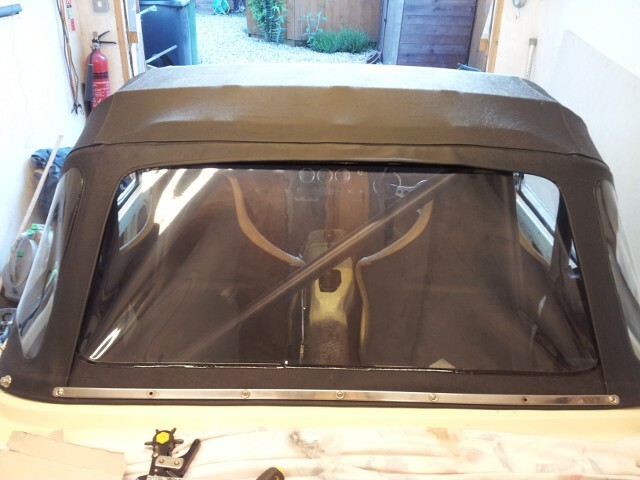 Monday was a bit cold but I was able to prime and top coat the wings an bonnet and rectify the boot lid. 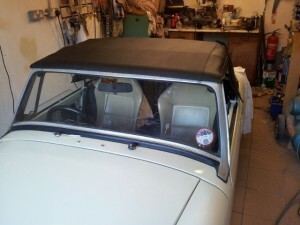 Fitting the bonnet was easier than I expected but the rear edge was rather low. I was expecting to have to shim out the hinge but after a lot of searching I found a reference to placing blocks of wood under the V of the hinge and then gently forcing the bonnet down. Sure enough that raised the rear of the bonnet to the top of the scuttle. You can just make out that the rear of the bonnet is below the top of the bulkhead. Having had to move the car earlier to make space in the shed, it was frustrating that it wasn’t running as well as it had before. If revved it would die at 3000rpm and just wouldn’t run. I’m rather ashamed to say that the problem was a lack of fuel and as soon as I put a gallon in the tank the fuel gauge moved from empty and it started to behave. Day 2 of the holiday and I’m winging it today. 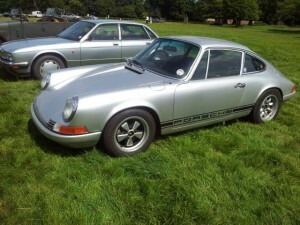 The wings are GRP and I recall that they weren’t a brilliant fit when I got the car. Therefore I’m not expecting miracles and will have to accept that I can only do so much with them. Come lunchtime and I have the offside wing fitted and come mid afternoon both wings are bolted into place and aligned the best that I can. The offside wing is slightly shorter than the bonnet and this is something I spotted on a couple of cars at Silverstone a few years ago. 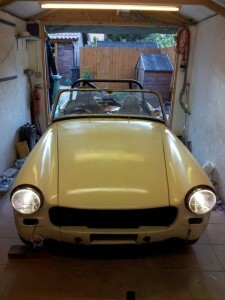 After a coffee break it was on to the wiring ( a job I really do like ) and time to fit some new headlights. 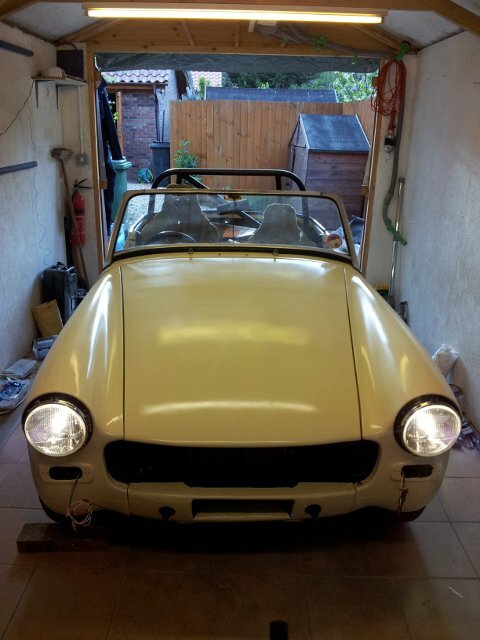 With the headlights fitted it was time to test that they worked. Battery connected, ignition on and we have dipped beam but no full beam. The full beam relay didn’t even click so that was swapped with the known working dipped beam one but still no joy. For some reason I went straight to removing the fuse & relay box and the cause was obvious, some muppet hadn’t fitted the relay signal earth lead. Ten minutes and one lead later and we have working main beams.